Give the gift of grooming gorgeousness. 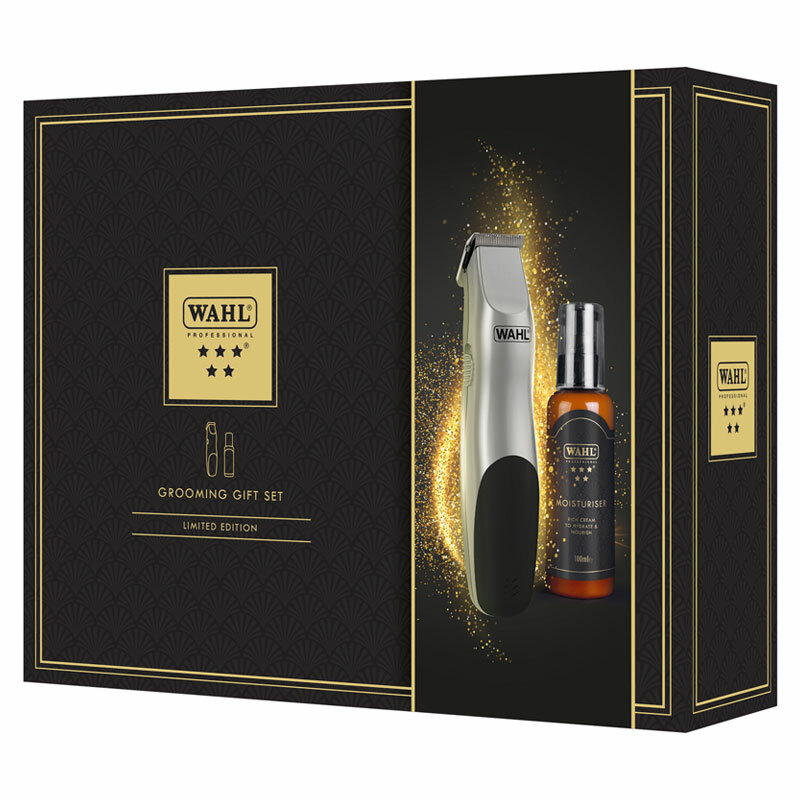 Wahl's Grooming Gift Set combines their battery-powered Groomsman beard trimmer with a 100-ml bottle of their 5-Star Moisturiser, all wrapped up in a beautiful gift box that'll look fabulous in any discerning gentleman's stocking this Christmas. The Groomsman is ergonomically shaped and slimline, with a soft touch grip to prevent your hand from slipping. 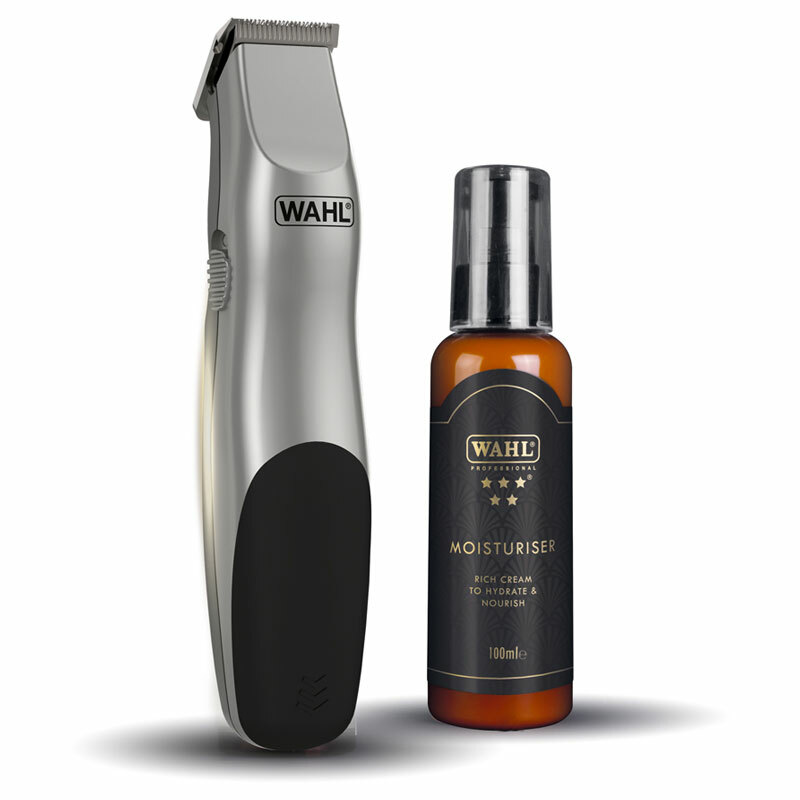 It's fitted with high carbon steel blades to help you achieve perfectly neat and precise lines and comes with a 6-position guide for adjusting beard length. The Groomsman's powerful, yet quiet motor is powered by 2 standard AA batteries (included). 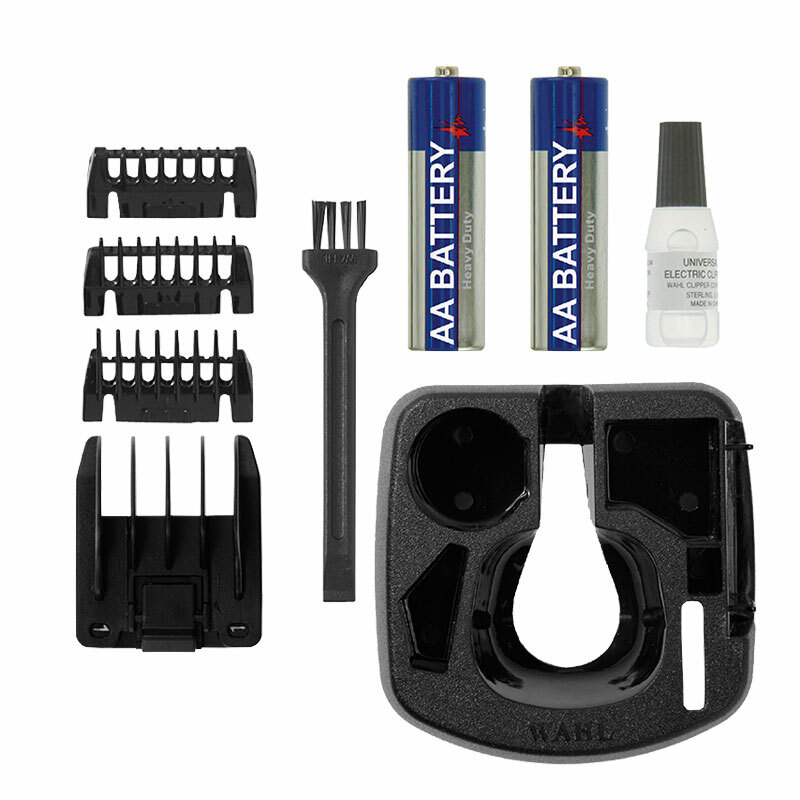 As well as the adjustable attachment comb, it comes with 3 close-trim attachment combs, cleaning brush, trimmer oil and a handy storage stand. Wahl's 5-Star Moisturiser is made with white nettle and black mulberry. Its non-greasy formulation is designed to soothe and hydrate all skin types. £11.70 (inc. VAT) Why no VAT? We're a trade wholesaler and quote our prices without VAT to help our VAT-registered customers understand the true cost of a purchase.